Believe it or not, there are other great cities in Ireland (Éire) other than the capital Dublin. One of these cities and cultural hubs is Cork (Corcaigh) which is in the South-West of the country. With the reemergence of the country, Cork has seen its economic fortunes increase, although with prices for goods and services increasing as well. The city is not as costly as Dublin, but there are some services in which you are better off travelling abroad. What services are less expensive abroad? The list is long, but for our article we will focus on Medical Tourism and more specifically hair transplants. In short, Medical Tourism is the when you leave your country or region to undergo a medical procedure in another country because of the high quality and/or lower cost. Many small countries do not offer certain major medical procedures, so the patient needs to fly to another country to have the procedure. In many Western countries, the cost of procedures, especially cosmetic, can be cost prohibitive pushing the patient to have the procedure abroad to save money. There is also the issue of waiting periods to have certain procedures which prompt people to travel abroad when an important procedure is not available in a timely manner. Health Service Executive (HSE) is the public organization which provides health care to all citizens of Ireland. Although it is funded through taxes, there are certain procedures in which the patient must pay an out of pocket expense depending on age, income, illness and disability. Anyone who holds a European Health Insurance Card is also entitled to the same services and procedures as those living there. The benefit of this cross-border care is that patients in Ireland can travel to another EU country to have procedures covered by the HSE. With waiting periods increasing in Ireland along with other issues, many patients are travelling to countries such as the UK and Poland for medical treatment. Unless medically necessary, elective surgery such as face lifts and Hair Transplants are not covered by the HSE. This is usually the case with all nationalized healthcare as well as private insurance companies which are popular in the US. In most cases these procedures are paid out of pocket and can be quite expensive. One of the most popular elective medical procedures is the Hair Transplant for men. Yes, even men have a bit of vanity, and hair loss is our Achilles heel. You might think that Irishmen are immune to this, but all you need to do is ask Cork City Counselor Kenneth O’Flynn who travelled all the way to Turkey to have a hair transplant, but we will discuss this further in the article. Cork and the rest of Ireland has its fair share of quality clinics for the FUE (Follicular Unit Extraction) procedure, although for a steep price. As Mr. O’Flynn discovered, the average cost for a transplant is €15,000 and approximately the same price in the UK. An expensive procedure which in most cases is not a viable option for the average working man. Mr. O’Flynn decided on Turkey for his €2,500 transplant, which turned out to be more difficult than he thought. Turkey and more specifically Istanbul has become a popular destination for those undergoing elective surgical procedures. 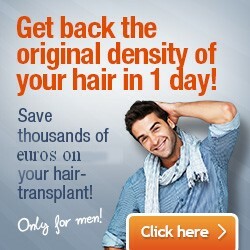 The costs can be anywhere from 75% cheaper while offering many options from the 200 plus hair transplant clinics. But sometimes the old adage that “if it seems too good to be true” can apply to this industry in Turkey. With 200 clinics, there is fierce competition among these establishments with prices being reduced to where margins are very thin. In order to still make money, many of these clinics need to squeeze in as many patients as possible. More of an assembly line then a proper medical procedure, these clinics although certified, are vying for groups of people, as Mr. O’Flynn met at the airport on his flight back to Cork, via Dublin. Unfortunately, there are no direct flights to Istanbul from Cork, Ireland. Cheaper is not often better, and sometimes you are pushing the boundaries on a safe procedure. You must remember that a Hair Transplant is surgery, and only the most qualified of doctors and clinics should be performing the procedure. Being certified in Turkey is not the same as being certified in the European Union. Also, the procedure that Counselor O’Flynn underwent is not the most advanced of procedures and is more painful and less successful than the FUE. Again, I am not criticizing his procedure and from what he says, he is satisfied with the procedure and results. Another less discussed outcome is that improper transplants can lead to serious health issues and even death. Recently in India a prominent business man died shortly after undergoing an extensive transplant. Is saving a few hundred Euros worth the risk of long-term health issues and even death? Mr. O’Flynn underwent the Strip Harvesting method which takes a strip of hair/ skin from the back of the head, and then takes the individual follicles from the strip and implants them into the balding area. This method is a bit more painful than the FUE method and can sometimes leave a scar which is exposed for those with short hair. Technology has increased to the point where individual groups of 3 hairs or less can be removed from the donor area and implanted into the scalp. This FUE method is the most advanced and proves to be the most popular method as the price is very affordable in countries other than Ireland, the UK and Western Europe. Closer doesn’t always mean better, but in this case it does. With direct flights to Budapest, Hungary, patients can receive and FUE transplant for roughly the same cost as in Turkey. A direct flight to Istanbul from Dublin takes 4.5 hours and doesn’t include the time and cost of a connection from Cork. Connections are where many of the problems occur and where luggage is lost and flights are missed, but I digress. Hungary in the past 2 decades has become the premier destination for Medical Tourism in all of Europe and beyond. There expertise in many medical areas have proven to be a boon for the patients coming for the many procedures. Probably the most crucial difference between Hungary and Istanbul is the fact that Hungary is part of the European Union and is subject to all the rules, regulations and laws pertaining to all things medical as well as everything else. All hospitals, doctors, and clinics in Hungary undergo the same high standards of protocol that the rest of Europe undergoes. As a Medical Tourism country, Hungary is always on the cutting edge of procedures and is always exploring ways to enhance the Hair Transplant surgery for a lower cost and a better outcome. If there is a new procedure out there, then you will find it in Hungary. As having one of the best medical universities on the continent, Hungary benefits from the best of Europe and elsewhere who decide to practice here after graduation. The low cost of living is translated into inexpensive medical procedures which creates a safe and successful option for those who cannot afford the procedure in places like Cork, Ireland. A direct flight from Cork to Budapest on Ryanair is affordable for those looking to do the trip. Check the Ryanair website for prices and dates. With any surgical procedure, there is the chance of something going wrong which brings the two parties into a legal entanglement. If god forbid there is an issue with the surgery, doctor, etc., your options are spelled out in the rules and laws of the EU. It might not be the most pleasant of experiences, but you will not have to navigate a completely new and confusing system as you would in Turkey. Although a developed country, the laws of Turkey pertaining to malpractice and everything surrounding it are not the same as in Europe and could leave you without any solution after months and years of issues. Is having a Hair Transplant in Hungary easy? The Hair Clinic in Budapest makes the process as painless as possible, both literally and figuratively. Their years of experience provide a seamless process without any issues. From when they pick you up at the airport, to when the drop you off and everything in-between, they will walk you through the process and never leave you in the dark. The cost of the procedure includes high-end accommodations and transfers to and from the clinic as well as the airport. All you need to do is book your flight to this incredibly beautiful city and begin your new life to a full head of hair. Contact one of our consultants to begin your journey to Budapest for a life changing surgery.